Forage Extender 12 - Hudson Livestock Supplements Inc.Hudson Livestock Supplements Inc. 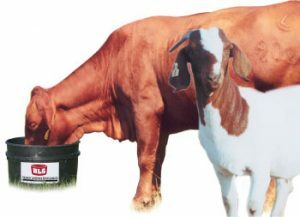 The HLS™Forage Extender 12 is an energy-rich, highly fortified supplement that is specifically designed for all classes of cattle, sheep and goats. Due to the increase in energy and protein intake, along with a highly available vitamin mineral content, Forage Extender 12 is an excellent choice for all types of livestock grazing separately or together on pasture or harvested forages. The addition of yeast culture stimulates the digestive system to digest a higher percentage of forage or grain being consumed. This occurs due to an increase in microbes and digestive enzymes throughout the digestive tract.